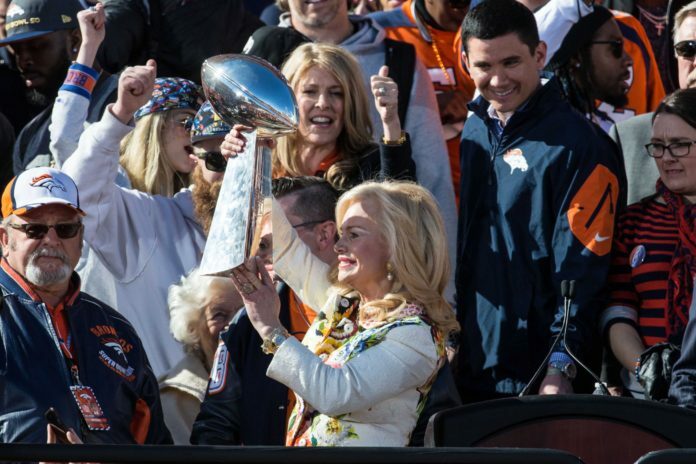 Back on June 27th, Annabel Bowlen announced her Alzheimer’s diagnosis and it began a wave of speculation surrounding the future proceedings of the Denver Broncos ownership group. Being that her husband, Pat Bowlen, is five years into his own fight against Alzheimer’s, it is hard to avoid questions about what comes next for the organization. What has been lost in all of the speculation is the outpouring support that Broncos’ Country has sent the Bowlen Family’s direction. Broncos fans have always been a special breed of fan. If you spend just 15 minutes around the city of Denver, it is impossible to avoid the sea of blue and orange. 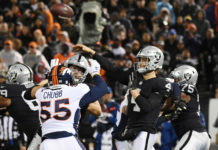 Now, that army of Broncos fans have redirected their focus from on-field fandom to a much more compassionate and human fandom — more specifically the love and positivity that the are sending to the Bowlen family. "You are not alone in your fight. … #BroncosCountry has your back!" When flipping through the letters that have been sent to Annabel Bowlen, letters from all over the world, it paints a clear picture of just how beloved the Bowlen family is. 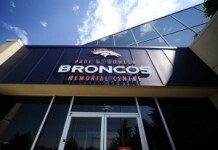 Here are some excerpts from some of the best letters sent to Annabel Bowlen and the Bowlen family from DenverBroncos.com. As a Broncos Football fan, I was shocked after your announcement. But I’m sure you are strong enough to get over every bad thing that comes in your way, even if it’s the other three teams from the AFC West. Orange and Blue is always behind you. Sending love and energy from Hungary. The Broncos community is no different. We are all a part of this Mile High family. Thank you so much for your dedication, love and passion for this team. You are the epitome of grace, beauty and unbreakable strength. Everything you’ve been doing for Mr. B is true, unconditional love and as you face your own battle, please know how loved and respected you are, not only by myself but by thousands of true Broncos fans. We’re on this journey with you and I am sending my prayers of strength and love to you and your entire family. You’re in my heart, Mrs. Bowlen. I applaud your courage and wish you the best in your days ahead battling this horrible disease. My parents (Ted and Pat) became Denver Bronco season ticket holders in 1970. My Dad passed away in 2015 after a courageous, heartbreaking battle with Alzheimer’s. My mother is still a season ticket holder and goes to Bronco games at 81 years old. We want you to know our entire family will be thinking of you and sending positive thoughts and prayers as you face the days ahead. God Bless you and your family. You are a strong woman, with a strong family and an amazing team behind you. 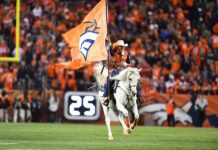 It is always said that Denver Broncos fans are the greatest in the world. We are, and we know it. Gather the strength from all of these amazing fans, myself included, and do everything you can to fight, fight, fight like hell, to keep the Alzheimer’s monster at bay for as long as you can. There are still many things that you can accomplish. I have no doubt that your list is already written. They say that having a positive outlook is an amazing healer. It will be hard, but try to stay positive. My very best to you. Sending a hug from Parker to you.